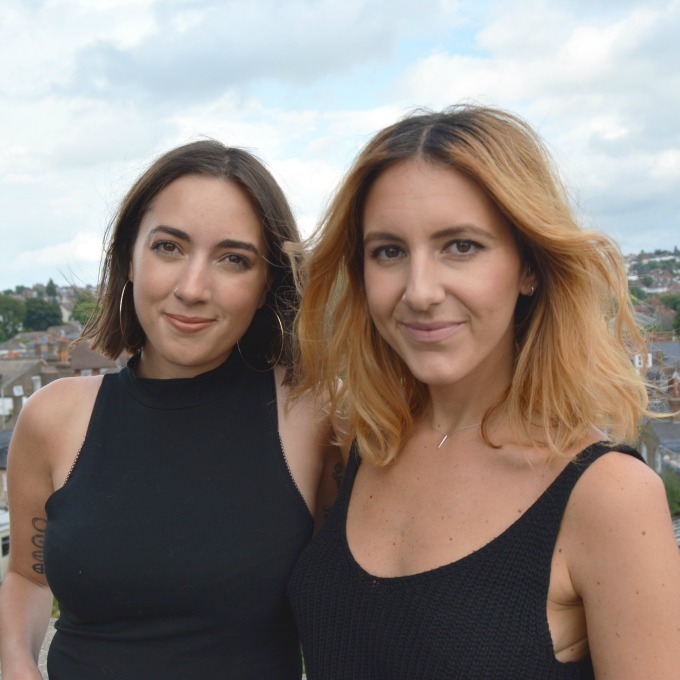 Chattin' with a greenbie (or two): Say hi to the call it vanity gals! I'm a curious kind of human, I thought I'd start a blog series where I can interview other green enthusiast's and find out where it all started for them, what lead them to their green journey, what they're using on the green bodies (not literally green - but you get what I mean) so here it is my first interview with the GORGEOUS Call it vanity ladies. I was so excited to read Sabrina & Mayah's answers because I am a huge fan of their blog. Especially when it comes to make up. Who would have thought these two were 25 & 30? It must be that green lifestyle that keeps their skin looking teenage fresh! What's your name, where ya from and errr, do you mind mentioning your age? Mayah: Currently 25 and counting, and I guess I would call myself English having spent most of my life here.I have a bit of a mixed background, but don't think I'll ever not enough a good bit of fish and chips! Sabrina: 31... on paper ;) I was born and raised in Canada to an intensely Italian family; all stereotypes lovingly included, especially pizza. Why did you switch to the green side? And how long ago did you switch? Mayah: For me it was mostly environmental reasons paired with some serious hormonal acne in my early twenties. I first wanted to cut out any alchol out of my skincare, but when I started realising most of my products were full of nasty stuff derived from the petroleum industry, the tree hugger in me couldn't ignore it and refused to support it any longer. I wasn't a huge beauty aficionado before, so it didn't take me long to rid myself of the toxic stuff. Discovering a green skincare routine that really worked for me took a pretty long time though and is still a work in progress. Sabrina: Once you learn what's going on to your skin and ultimately in your body you just can't unlearn it and there are some scary ingredients out there. The beauty industry is also full of issues concerning pollution and animal cruelty which I wanted to stand against as well. One person CAN definitely make a difference, especially when you realise you're joined by millions around the world. I had always been that girl with a million and seven lipsticks and I actually learnt that a few of the products I was using already were clean but I really started paying attention about 3 years ago and I'm still on a journey to find replacements and exactly what type of ingredients I'm comfortable with. What was the first green brand you ever tried and why? Mayah: Does Lush count? Hah! Seriously though, that's where I started. While their products wouldn't meet my standards now, there are a few that helped me take first steps down the green path. After that I seem to recall trying some Desert Essence (totally underrated), Green People and doing a bit of DIY. Makeup wise I clearly remember buying the Inika mascara because it was pretty awful and constantly smudged - turns out some of their other products are my holy grails so don't always judge a brand on the first product you try! Sabrina: Umm okay I'll start with the brands where I was actively seeking green beauty rather than the happy accident ones. It's funny because I was just talking about this a few days ago and I believe it's Sukin, an Australian brand. It was their rosehip seed oil and either a moisturiser or cleanser. 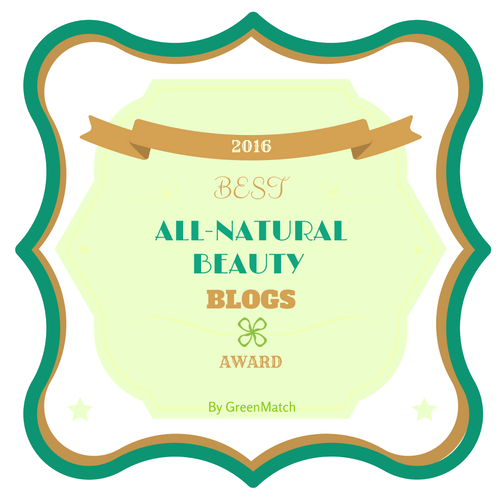 I had recently come across several articles about the miracles of using rosehip seed oil and decided to see what all the fuss was about. Well, if you had a look at my bathroom now you'd see that I was clearly won over. Oh wait, I literally just remembered and this is actually a happy accident. Long before I moved to the UK I started using Lavanila Vanilla deodorant which I still love b/c it works and smells amazing. One of the very first concerns I ever had was aluminium in deodorant... like i'm talking when I was a teen but I'd try a few natural deos and they just sucked so bad... until I met Lavaila and hope was restored. Mayah: You're joking right?! That is really tough. 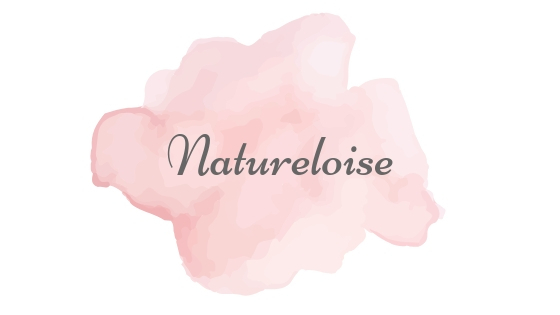 I was introduced to True Nature Botanicals last year which was a bit of a game changer for my skin, but in terms of formulations that revolutionised my understanding of what skincare could be it would have to go to May Lindstrom. Her products are pure magic and make you feel utterly amazing just by looking at them. Sabrina: Pffft, yea I'm with Mayah it's definitely impossible to just choose one... especially in our situation where we're exposed to so many amazing brands World wide, every day. To name a few of the stand outs at the moment: the brand I use the most products across the board and the maker of my all time fave oil which would be UK based Pai Skincare. I just love everything from them. I also share Mayah's sentiments for May Lindstrom, haven't tried one thing that wasn't great. Herbivore, Captain Blankenship and Kari Gran are a few others I just couldn't leave out. Mayah: You're killing us! RMS Beauty are pretty up there because of the sheer versatility of their products, although my favourite brands are always changing. Sabrina: Hmmm. I'd have to say Bite Beauty are just ruling my life at the moment. I can't get enough. Every colour they have is desirable and the consistency is perfect. Unfortunately they're not sold in Europe as far as I've found but most online retailers ship over here and it's soooo worth it. Mayah: At the time Sabrina and I were flatmates (not sisters as some think we are, hah!) I guess we just got sick of talking to each other about it and wanted to share some of the things we were discovering; cool brands, changes to our skin and the amazing retailer that make them available. I'm gonna be honest and say sample perks were also a draw to the blogging world, but we never really thought anyone would end up reading CIV...let alone want to work with us. Best beauty advice you've ever received? Mayah: I've received some terrible advice in my time, but I think the general advice towards women to grow in their brows really stuck with me. It can make such a difference to someone's face in terms of balancing out features. Sabrina: Ummm, oh yea! Okay so I'd have to say the best advice was received from a couple of the ladies at Pai at a tiny event about 3 years now. It was winter or on the cooler side at least and had recently, a few months or so before, discovered their rosehip seed oil and loved it. The only thing was that all of a sudden my skin started going downhill and looking dull and makeup was not blending in well and was getting really oily by end of play. I believe it was Nicola, Pai's fab PR, that told me that my skin sounded like it needed more moisture since the main point of the oil isn't to nourish and also that i need to stop skipping on toner since since this restores the ph in your skin and allows for better absorption. I picked up a pai cream and toner... and within a few days my skin was already looking 100 times better. Since then I never go without toner and learn to listen to my skin if it seems like it needs more moisture. Other than the above which beauty advice/tips would you give? Sabrina: Check your neck line when you apply makeup... blending is your best friend. Also when it comes to clean beauty please don't be discouraged after trying something and it not working. The industry works the same. Some products will be for you and some won't. You just gotta keep trying until you find your holy grail, just like you did before all the amazing choice that we are blessed with now. How do your family/friends feel about your green journey? Mayah: On my end most were pretty indifferent to begin with, but as I slowly introduced/forced products upon them some of them have actually started going green themselves, especially skincare. Makeup is a bit of a harder sell because there's not as much good budget options. My mum has been the hardest, she can't resist a L'Oreal cream on sale! Sabrina: Unlike Mayah, my mom needed no convincing. If anything it was her that intro'd me to the organic world - with food and supplements mainly. My friends are taking a bit longer but as the months and years pass they are more and more coming to me for suggestions which is great! Our imperfections make us unique and we should never wish for change, but hey, we're women that's impossible... What imperfection do you wish you could change? Mayah: I have back acne that sometimes flares up and it's gross. There are scars all over my back so I'm looking forward to someone designing an antiinflammatory oil that reduces the appearance of marks and it easy to apply on the back. Anyone out there hearing me, yeah? Sabrina: I'd have to say my hyperpigmentation. It obviously becomes more visible in the summer since I get super tanned usually - yay, Italian skin - and it is getting so much better since switching but it's been a struggle. When i was young and dumb I would get acne of the big horrible spots kind and would pick and then scar and then my easy tanning skin have left marks. The lightening journey continues. Are there any toxic products you just can't switch or still secretly use? I promise not to tell anyone. Mayah: Nope! Although I've only just recently switched to organic lady thangs and might still use the sneaky Always. But hey, going green should be fun so don't feel the pressure to deprive yourself of something you love if you can't find an alternative. One thing I haven't found a replacement for is clean, accessible hair colour so I gave up dying my hair long ago. Sabrina: I pretty much agree with what Mayah said in regards to there being no pressure. I've also recently switched to organic feminine products and another recent is my dry shampoo which was a big change b/c I was obsessed with the one I used to use. I still have a handful of MAC blushes and eyeshadows around b/c I was a makeup hoarder before and just cant justify throwing them out - it jsut seems more wasteful - but I use them so sparingly since I have a substantial amount of clean makeup now. I still dye my hair... its pricey and I go to an organic colour salon but when it comes to lightening it's not fully clean yet unfortunately. Which green brand is currently on your radar? Mayah: So many on instagram right now, but particularly interested in discovering more British brands right now. I love the look of AMLY Botanicals recently launched at Content Beauty & Wellbeing and Isla Apothecary who handcraft their creations in London. Votary London is another range I'm dying to try...I sniffed a few of the oils in Liberty London and they were dreamy. Sabrina: I'd also have to agree with Mayah on AMLY. Definitely on the list as well as a Canadian brand called Wild Craft. What's the most you've ever spent on one single product? Mayah: That prize would mostly go to Lina Hanson's Satori perfume; each drop is basically olfactory gold so it's fine right? Sabrina: Ohhh dear. Ummm probably anything May Lindstrom that I've bought which is definitely worth it. If you were to advise anyone on making the switch what would you tell them? Mayah: Be prepared to not like everything you try...just because something is natural doesn't mean it's going to be the best thing since sliced bread. Also, be open to trying different textures and formulations that you're used to. I never used cream blush before going green, and the green offerings are so different to the over processed, silicone filled options in your local Boots. I also used to always use gel face wash, but now find that thick creams are my favourite kind of cleansers.